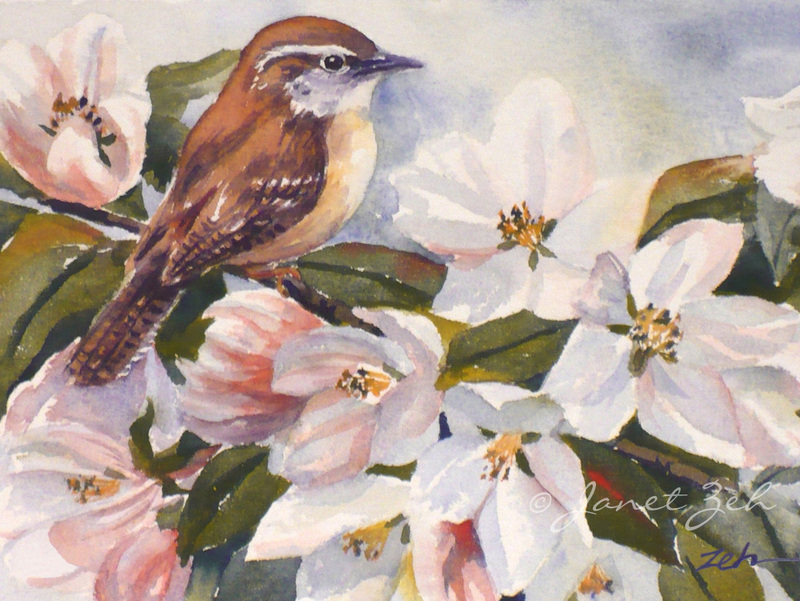 'Carolina Wren' Fine Art Print. Click image to see it larger. A Carolina Wren sits in a blossoming apple tree. Wrens are sweet little birds that frequently visit my flower garden inspiring this piece. Carolina Wren print is available in several sizes and may be ordered framed, unframed or on canvas. Click the Order Print button below for sizes, options and prices.